James Piedimonte is a family law attorney. Family law is the name given to the branch of civil law that covers the legal relationships among family members, including husbands, wives, parents, children, and domestic partners. Family law relationships encompass adoption, child custody, visitation rights, domestic violence, divorce, juvenile dependency and delinquency, marital property rights, support obligations, and paternity. Many divorces, modifications and paternity suits involve child custody. Child custody refers to custodial awards or determinations involving a minor child. These determinations involve who has the right to make decisions about the child, or legal custody, including decisions about education, religion, medical issues, and discipline, as well as where the child will live, or physical custody. With sole custody, you alone have legal and physical custody of your child. In a joint custody arrangement, you and your ex-spouse share legal and/or physical custody of the child. If you and your spouse cannot agree on a custody arrangement, a court will likely make a child custody decision based on the best interests of your child. 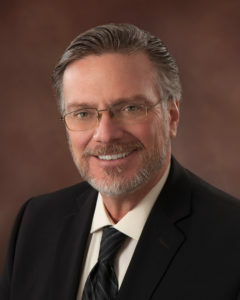 James Piedimonte has litigated many divorce and custody cases during his 33 year career. He is also well trained in alternative dispute resolution, such as Mediation and Collaborative divorce. These alternatives can save time, money and still preserve some dignity for the parties involved. Make sure the lawyers you contact are familiar with family law issues and practice primarily in divorce, custody and child support cases. Family law is so complicated that most family law attorneys do almost exclusively family law in their practice. Mission Statement: To facilitate a peaceful resolution of conflict, through trial, negotiation, mediation or collaboration. To make a difference in people lives inside and out of the courtroom.